I’m using a number of Nautilus scripts for media production, e.g. 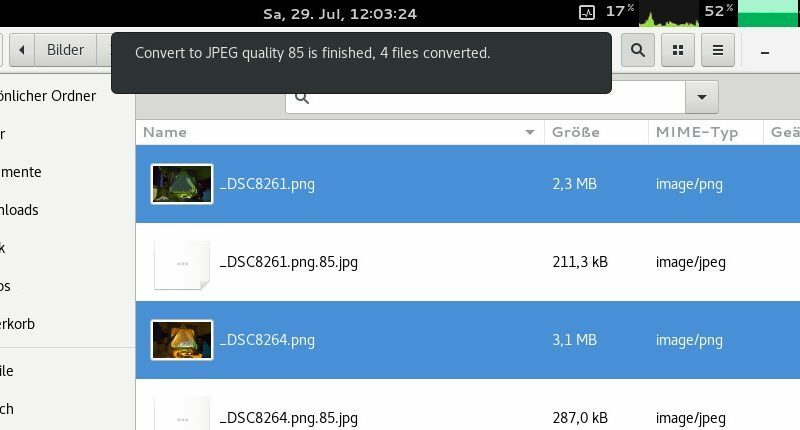 to easily convert files to JPEG or MP3 format with pre-defined settings. Nautilus doesn’t parallelize script execution, but it’s not so hard to create a script which does.